Cherokee County’s premier pet spa, serving the Canton/Woodstock/Roswell area since 2006. Furry Friends Gentle Pet Grooming takes pride in its personal care and attention to cat and dog grooming. Unlike the chain pet stores, Furry Friends caters not only to the client’s needs, but to the needs of each individual pet as well. 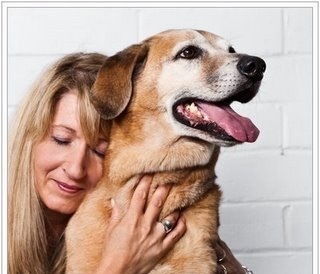 We treat every cat and dog as if it were our own, taking time to make them feel comfortable. 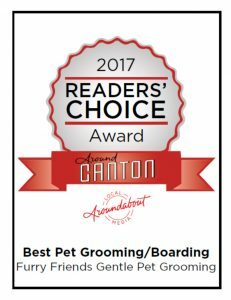 Our goal is for each pet to look forward to their grooming visits, and we get to know every one of them by name. 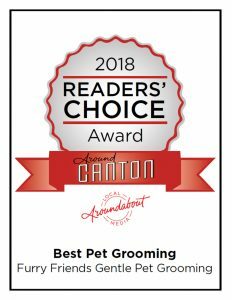 AROUND CANTON MAGAZINE READERS CHOICE AWARD! AROUND WOODSTOCK MAGAZINE READERS CHOICE AWARD! YOU CAN VOTE UP TO 5 TIMES PER EMAIL ADDRESS!!! !